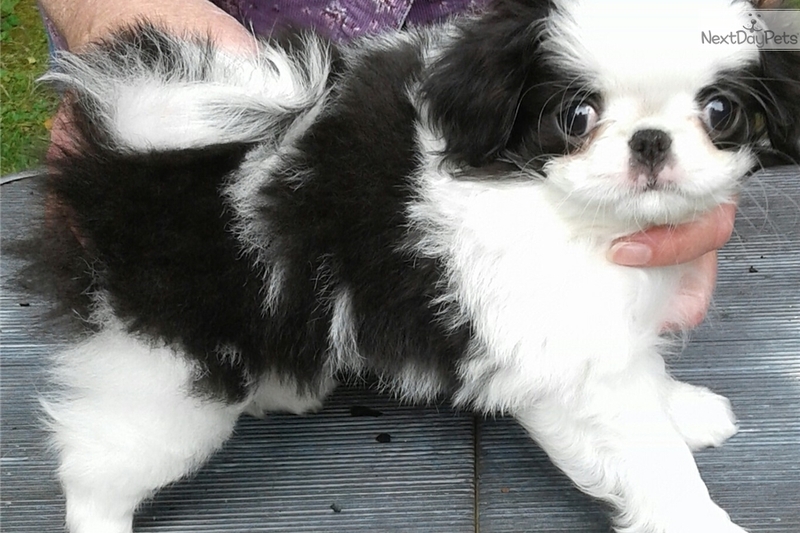 This Japanese Chin nicknamed Bre sold and went to a new family. Bre is a small cuddly girl. We anticipate she will be 7 pounds or less when full grown. She is ready and waiting for a new home. We fully guarantee all of our pet puppies and stand by our pet parents.